Fifty-two percent of the British population recently voted to leave the European Union. Analysts theorised that a vote to leave could result in the unemployment rate to rise to 6.5%, meaning the loss of over 520,000 jobs. Unrest began after the vote when political parties entered a state of disarray. Politicians resigned left, right, and centre, and left their constituents confused and afraid. As the dust settles, many now ask: what happens next for UK employers? Experts predicted that the financial sector would be one that would significantly experience the effect of a Brexit vote the most. There is a wide range of professionals in the financial and accounting industry, as Kennedypearce.com points out. In an industry with a broad spectrum, specialisations may cause complexities as demands vary from client to client. 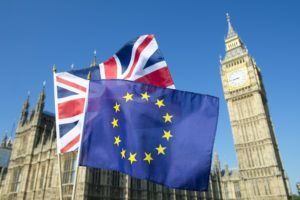 Now that the current government prepares to follow the vote, there may be some concerns with regard to job security in the United Kingdom. The UK may not be the only thing making an exit as some EU migrants also express unease due to the vote outcome. It is Article 45 of the EU constitution that allows for citizens to work in any of the 28 member states without a work visa. This could mean a significant loss of people available in the talent pool in the future. If EU migrants are no longer accessible, local recruitment agencies have connections to native professionals in various fields. Uncertainty looms over the country at this time. What happens next, whether it is the rise or fall of the business, could be entirely up to the moves taken right now. Everyone feels this distress in equal, if differing, measures. Where employers fear potential economic setbacks and the loss of specialised talent, employees fear redundancies and workload without sufficient support. Nurturing a positive relationship between the two parties is important for anyone to survive this era of doubt.